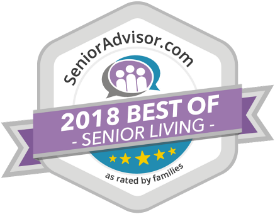 Whether a part of our independent living, enhanced living, assisted living or memory care services, our senior living options are designed to fit your specific needs and desires. We work hard to ensure each of our residents has the support they need, even if it’s just a smile or a hug. It’s not all about our food but more about the memories created during your meal. Residents are made to feel like family during every meal services as they embark on the culinary adventure created by our Executive Chef and team of experts. Let us know your favorite recipes. We’d love to add them to the menu! We believe that everyone has lived and continues to live a beautiful and interesting life. Our Life Enrichment Program loves working with residents to develop community events that involve their individual hobbies and interests to express their true interests. Our events calendar is tailored around events designed for you. Feel free to share what excursion or activity you’d like to try. Independence Village Of Grand Ledge? Schedule a visit of Independence Village of Grand Ledge and experience our community atmosphere. Please fill out the form below to get started.